I am an empathic therapist offering a safe environment to connect with your true self. I work with Adults, Children and Adolescents. 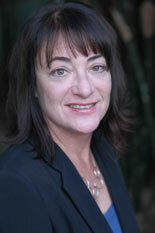 I also offer groups for people to explore specific issues like parenting and divorce. Therapy is a process of self discovery. The more aware we are of our feelings, the greater our capacity for love, joy and connection. Groups provide an opportunity to connect with peers while receiving therapeutic support and professional knowledge. The child entering pre-school experiences a pivotal moment in development that affects every family member. At the same time, parents enter a new phase of parenthood. This group provides a caring environment for parents to voice their concerns, thoughts and feelings while receiving professional information about child development based on Attachment Theory and the most current brain development research. Professional Knowledge & Emotional Support targeting the unique needs of your child, family and culture. I use a relational therapeutic approach and am influenced by Attachment Theory, Regulation Theory, and current brain research. Most parent child conflict is due to lack of information on child development. Understanding where your child is at –cognitively, socially and emotionally– fosters communication and creates harmony. Discover how to join with your child for a lifelong partnership without putting your own needs and feelings on hold. It’s not what happens, it’s how we handle it that really matters. Being imperfect is the key to connection and trust. Learn how you really can be yourself and find your authentic voice as a parent. Awareness of our own feelings is actually the most important part. Let me show you how developing your personal narrative is the foundation for effective parenting. I hold a BS in Psychology from Vassar College and an MA in Clinical Psychology with a Child and Family Studies Specialization from Antioch University, Los Angeles. 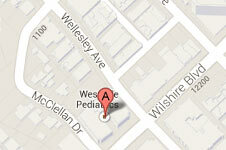 I provide therapy for individuals and groups at a private practice in West Los Angeles. I also work at the Early Childhood Parenting Center as a Parenting Group Leader, Outreach Liaison, and Therapist. I use a relational therapeutic approach and am influenced by current brain research and Attachment Theory. Sliding scale fees of psychotherapy clinics in Los Angeles vary, but typically are between $10.00 to $75.00 per session. Therapists at these clinics are pre-licensed interns. Please don’t hesitate to contact me for a free phone consultation.